My friends and I were deciding a cheap n spacious hotel or service apartment to have a short weekend getaway for relaxing before the New Year arrives. We stumbled upon Capri by Fraser which seems ideal for us. Located at the eastern side of Singapore (Changi South), it is only around 10 mins walk from Expo Mrt, just beside Changi City Point mall. We booked the room around 3 weeks before our actual stay, during that time; we paid around $280 for Studio premier room. We were amazed upon entering the hotel. 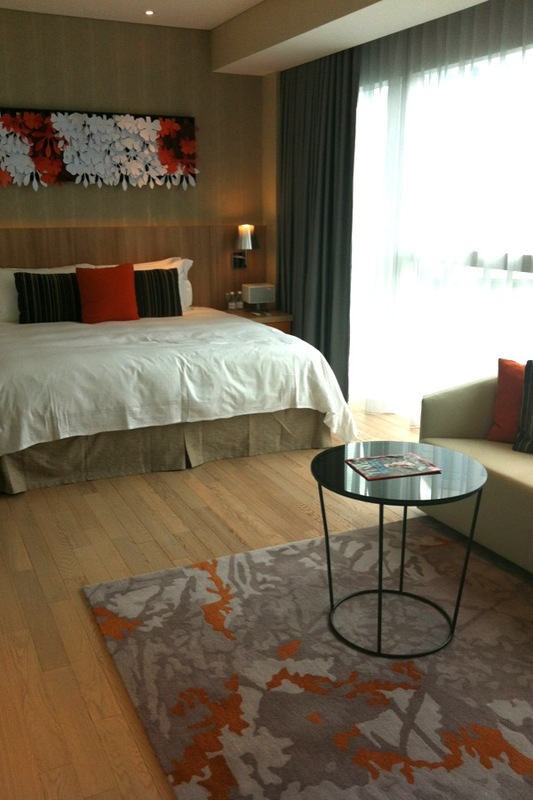 We were greeted by friendly and presentable staff and our check-in was quite fast. The check-in counters & design are unique and their guest waiting area is very special. 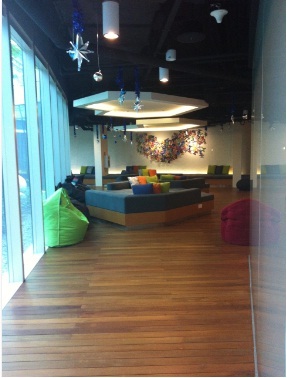 They have Kinect room together with Laundry room; you can play Kinect while waiting for your laundry! 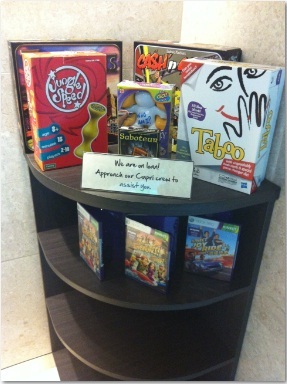 They also have board & card games for rent (free-of charge). We just have to write down our room number and return it the next day or anytime we feel like changing games. lots of games for us to play! 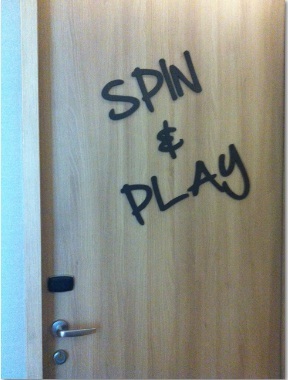 Inside the Spin & play room, there is a washing machine at the ‘balcony’ towards the left side of the kinect and tv. But the area was too bright to be photographed. As for the room, once we enter it, the room gave me a homely feeling which I never experienced before from other hotel rooms. 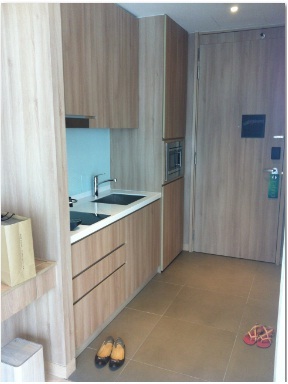 Probably because it is more like a service apartment, complete with a mini kitchen counter (with stove, sink, microwave, cupboards and all other cooking utensils). Their living room is quite spacious too, I can say around 8 people can sit very comfortably on the carpet to play card games. Their living room comes complete with a coffee table and sofa, in front of it, a Samsung smart tv was mounted on the wall, the tv can also be moved and adjusted to face the bed, we have options to either lay on the bed or sit on the sofa to watch tv. The bed is King sized and really spacious for 3 of us. 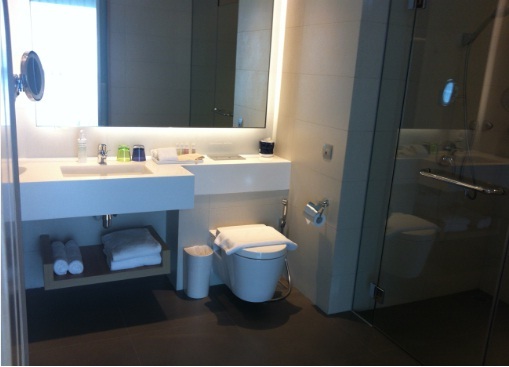 Even the toilet is so big and spacious, what I really like is the basin comes with a make-up mirror at the side. And the bathing area comes with a showerhead and rainshowerhead mounted at the ceiling. 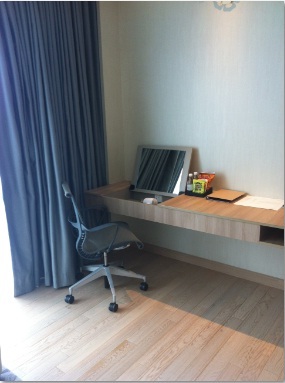 There is also another dressing table near the living room, which comes with a mirror and hair dryer. The mirror can be closed (stowed away) and it becomes a table. We cooked simple meals getting our food & beverages from ntuc & cold storage near our hotel. And played board games, watch dvd throughout the night. The Samsung smart tv even allows us to surf internet on it, if you have brought your Samsung phone to connect to it(to act as a keyboard). On the 2nd day, we went downstairs to return our games and to check out the spa rooms and swimming pool. I felt the only thing that was not to my expectation was the pool which I felt is too small. However, I’m very satisfied with the services there, the bathroom & changing room at the spa/pool area is highly secured, we are required to scan our room key before entering the bathroom & changing room near the pool & spa area. I really like this idea as it made me feel that only hotel guests can use these facilities, not opened to public. 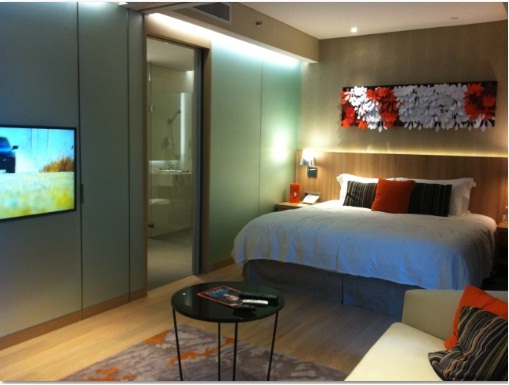 The overall experience of the hotel was amazing and above my expectations. 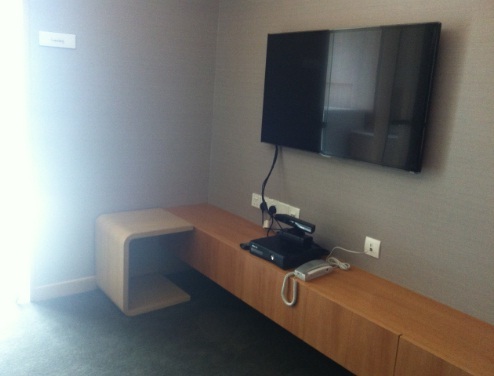 I can say that the experience is more pleasant than many of other 4 or 5 stars hotel I stayed before. The price is so much cheaper, location more convenient for me as it is near to my home and they have a services which is suitable for me.